Producing your own label brands (white label or private label) is never the easiest project to undertake. With a vast range of suppliers from all over the world at your doorstep choosing the right partner is key to building your business. We have a wealth of knowledge and expertise to help you launch your brand or develop your exiting market. We work with small and large companies alike and are key suppliers to some well known brands in the market place. Equally we supply many smaller gyms, beauty outlets and independent distributors and with low minimum order quantities. 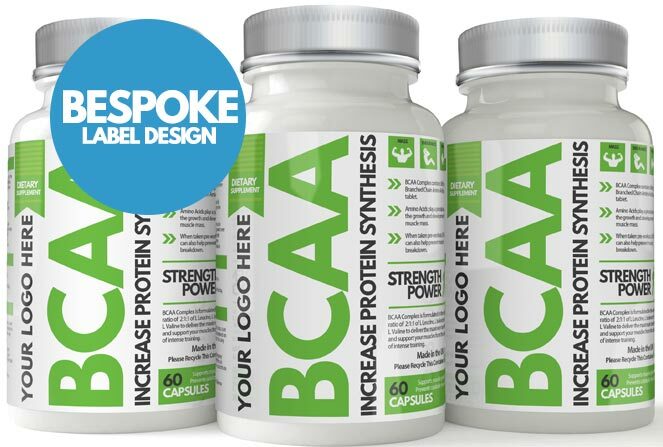 You may be a start up business and want to design your own bespoke labels. We have in-house designers who can help you with your designs. We can customise any type of label you like. We understand the importance of having a label that stands out from the crowd, being seen that is vital in a fast growing market. Our in-house designers have the experience and knowledge you need, we can be sure that the design you are looking for can be created by us, with you in mind and continuous communication throughout the entire design and print process. 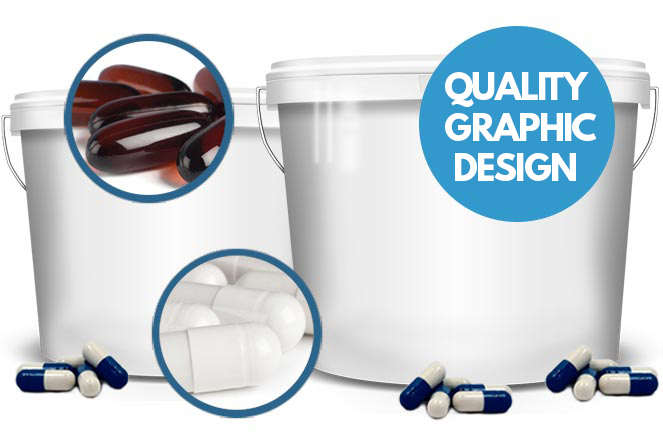 Our print and design services complement our range of supplements and health care products, we offer this service to even small production runs, please contact us today for further information. Should you wish to supply your own artwork to us, here is a selection of the most frequent questions we are asked, along with the answers. 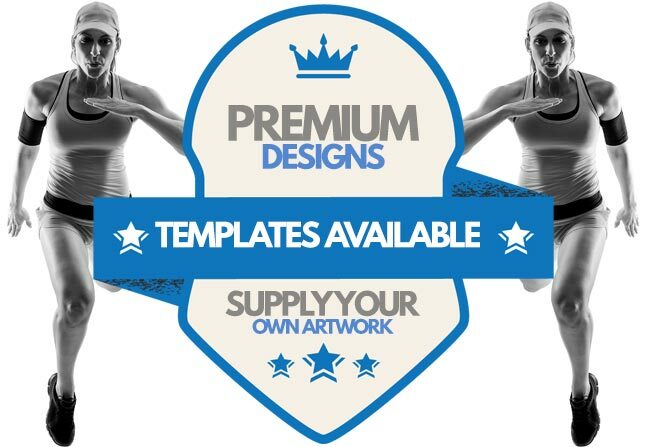 Yes you can supply us your own artwork should you wish to design you own labels, however please take a look at the info below for the required file formats, files, label sizes and other information you will need. All files supplied must be based in the CMYK colour mode. RGB is not acceptable quality printing, as this format was created to represent colours on screen only. Printed inks are different altogether. In the case of some packages an RGB image may result in a black and white image being printed. It is important that you work in CMYK from the outset when creating artwork and defining colours. If you create your artwork and then convert to CMYK at a later stage, then your colours (especially black) may be negatively affected. Images need to have a resolution of 300 dpi. If artwork is generated at a lower resolution, then the quality of the final printed job will be affected. Yes. All artwork supplied to us for print must have at least 5mm bleed on all trimmed edges. If supplied artwork isn&apos;t supplied with bleeds, then you may incur extra charges to modify your artwork. When using images in certain software, such as Adobe Illustrator or Adobe Photoshop, we require the original image files to be provided along with the document file. Without these we will not be able to print your document. As a general rule, EPS or transparent PNG files should be used for logos. JPEG for photos are normally fine but if used keep the quality to maximum. High resolution print ready PDF files are also acceptable. Please contact us if you are unsure about the compatibility of your own files. Yes, we would certainly provide you with a colour proof before the job is printed, but this will requre the customet to fully check all the content. Please note that if any changes to files are required at this stage, we can make them before the job is sent to print. Once the job has been signed of to print No futher changes can be made. You may incure a further cost if changes are required after the sign on agreement. The following software is ideal&colon; Adobe Photoshop or Adobe Illustrator. The best file types are PDF Acrobat, PNG or JPEG, or even better the the actual Photoshop (.psd) or Illustrator (.ai) files are the best. Please contact us before sending any JPEG or unusual file formats to us for print.